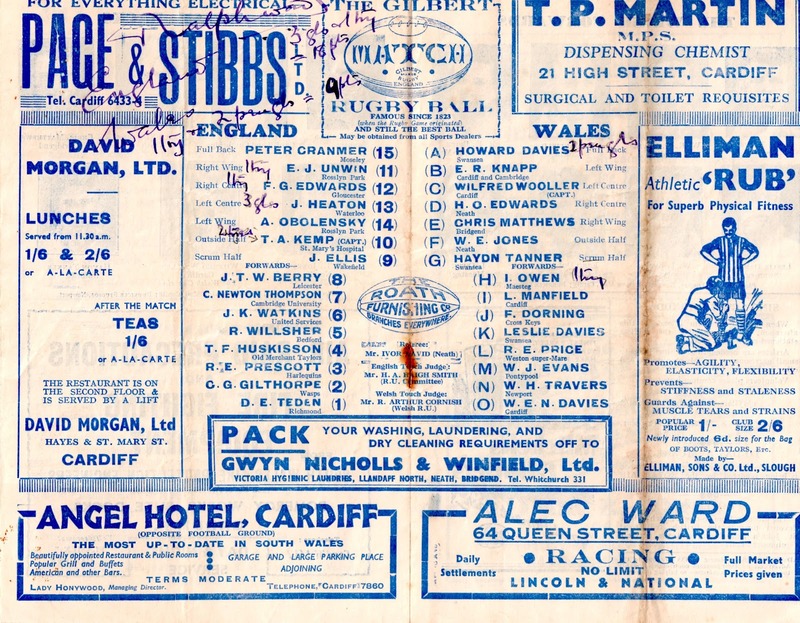 Many representative fixtures were played during the Second World War with the proceeds usually donated to wartime charities. In my book 'Let Them Play By All Means' I mentioned a number of these fixtures and was also able to include illustrations showing the programmes that were produced for the games. 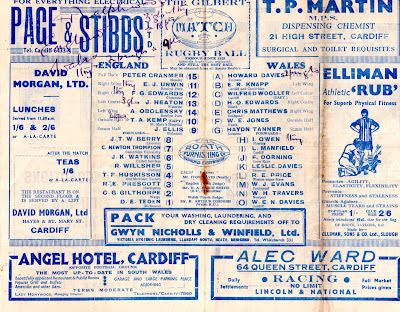 Below is a programme for an England v Wales wartime International that I wasn't able to include in the book. I would like to thank Richard Lowther for providing the illustration.